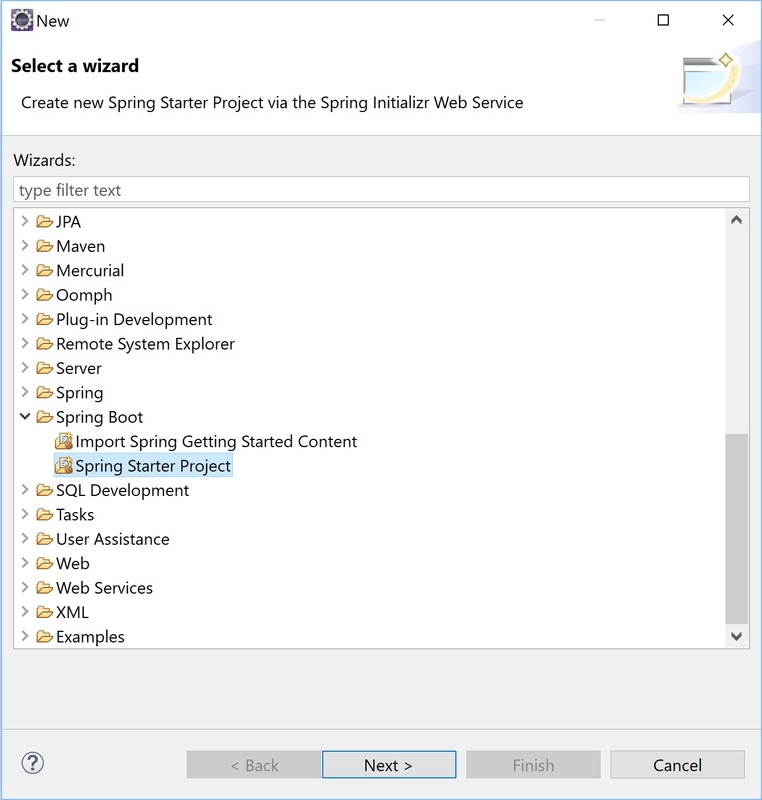 Follow the steps mentioned below to develop the Spring batch sample application. 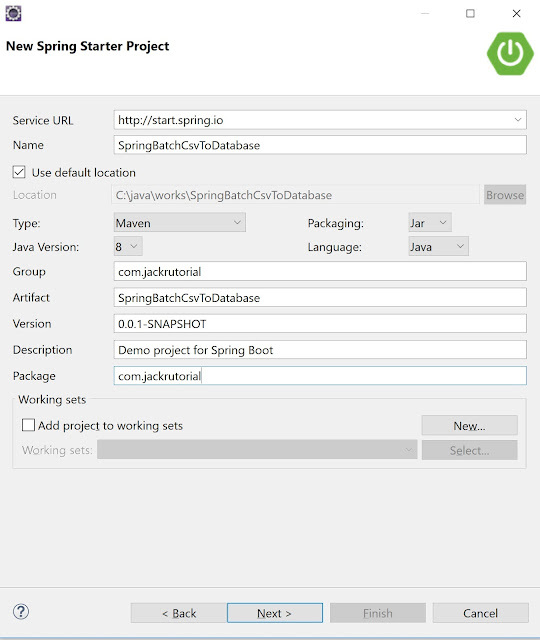 Open Eclipse Oxygen java and install the Spring STS Eclipse. 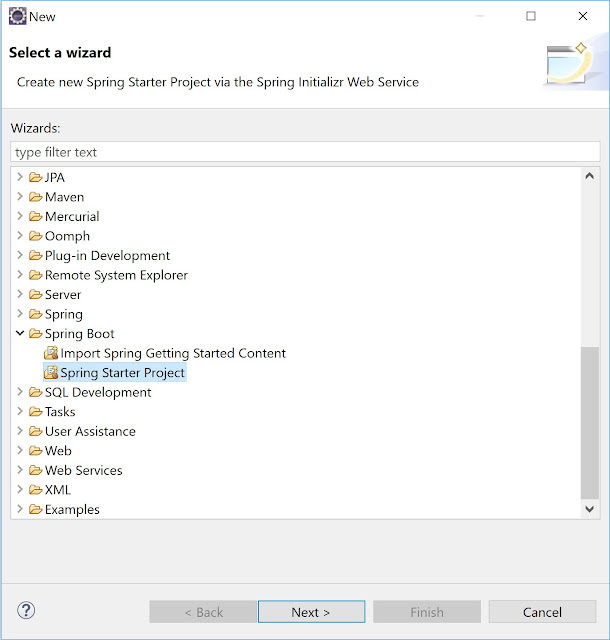 We create the users.csv file in src/main/resources folder and write the following content in it. 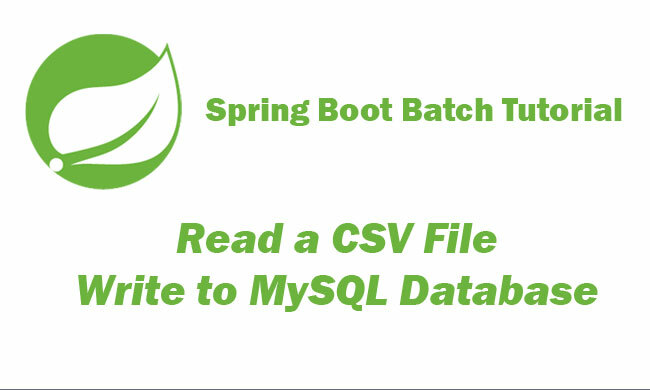 Create a Job which will read users CSV file and write into Mysql Database. Create a BatchConfiguration class under com.jackrutorial package and write the following code in it. 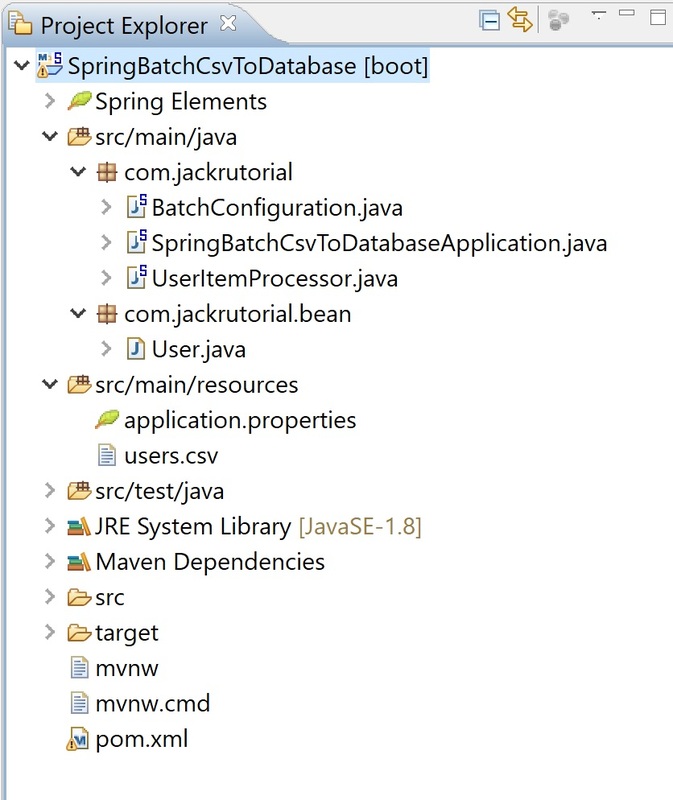 Right click to the SpringBatchCsvToDatabaseApplication class, select Run As -> Java Application. This application will read data from users.csv file and write records in user table. 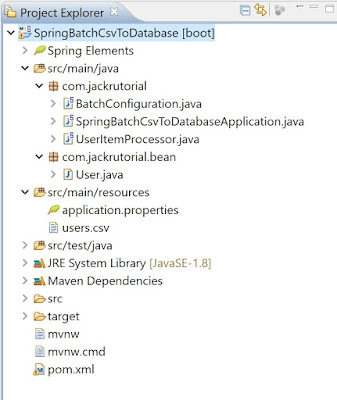 And finally, check the user table in database. 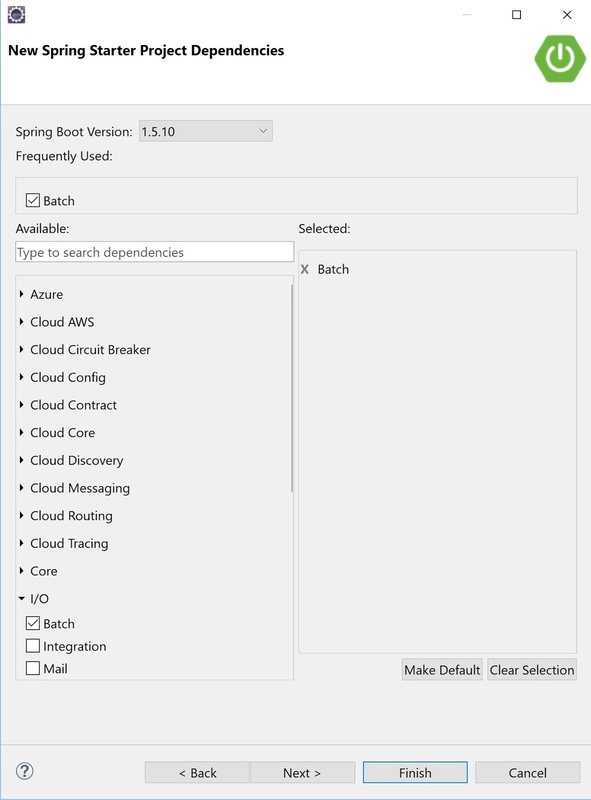 Below is the snapshot from database after this job.